Great Plains Audio designs and manufactures some of the finest loudspeakers in the world. We continue this tradition of excellence with the release of our newest loudspeaker, the Great Plains Audio Model 212-8A. The extension of usable lower frequency limits and the expansion of available dynamic range have placed greater demands on audio monitoring systems. As audio-video facilities are constructed or upgraded to accommodate HDTV, equal attention should be placed on providing a superior acoustic setting. Th e 212-8A will deliver the high definition audio reproduction required for this environment. Recording studios, mastering facilities, and home theater rooms are also perfect applications for this amazing loudspeaker. 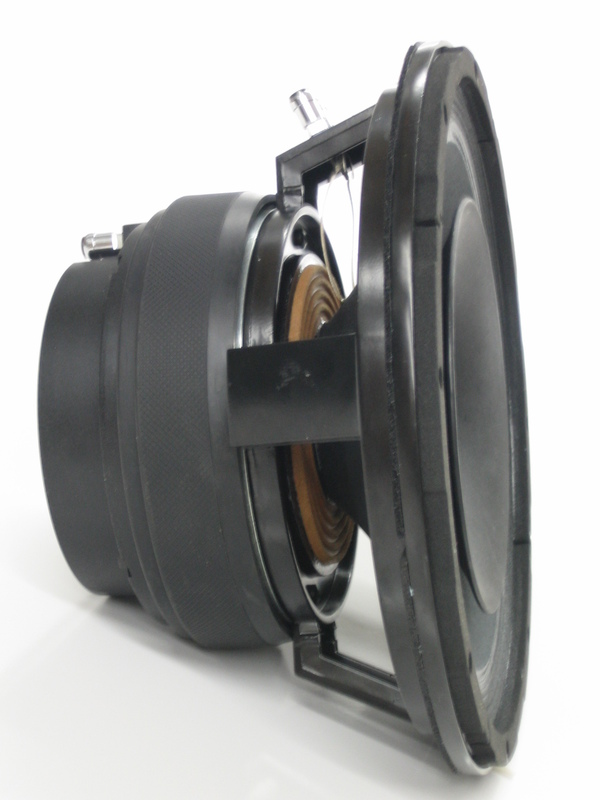 Th e 212-8A is a high efficiency, two-way loudspeaker. Lower profile and less weight are both realized from this incisive design, because the two transducers of the 212-8A share a single magnet. Th e back section of the magnet is utilized for the high frequency voice-coil, while the front section of the magnet is used for the low frequency voice-coil. A high grade aluminum alloy diaphragm is attached to the back voice-coil. High frequency sound waves, produced by the voice-coil and diaphragm assembly, are guided into an exponential throat with a 1.4 in. (36 mm) diameter exit, and delivered through a 90° horn. Th is exponential throat actually passes through the center of the front voice-coil. Low frequency sound waves are produced by a 12 in. (305 mm) diameter cone, which is attached to this high power voice-coil. A N1500-8A crossover is provided for directing the appropriate band limited energy to both the high and low frequency elements. Th e two separate transducer elements work together, from a single die-cast frame, to approach a virtual point-source soundscape. Each member of our team at Great Plains Audio has over 20 years of experience in building high quality audio products. We employ our combined skills and expertise to make the 212-8A one of the best two-way loudspeakers in the world.